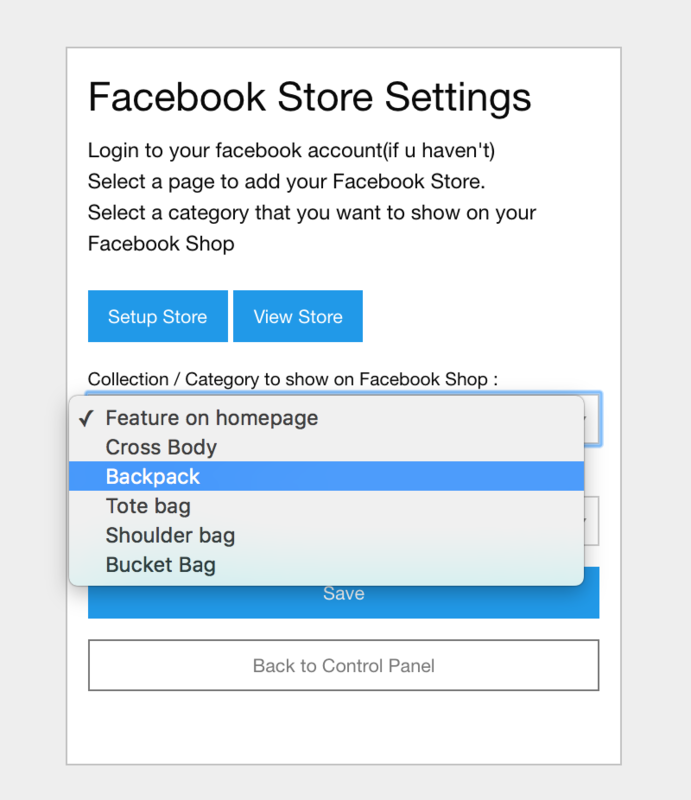 Facebook Store allows you to display your products from your EasyStore to your Facebook page. 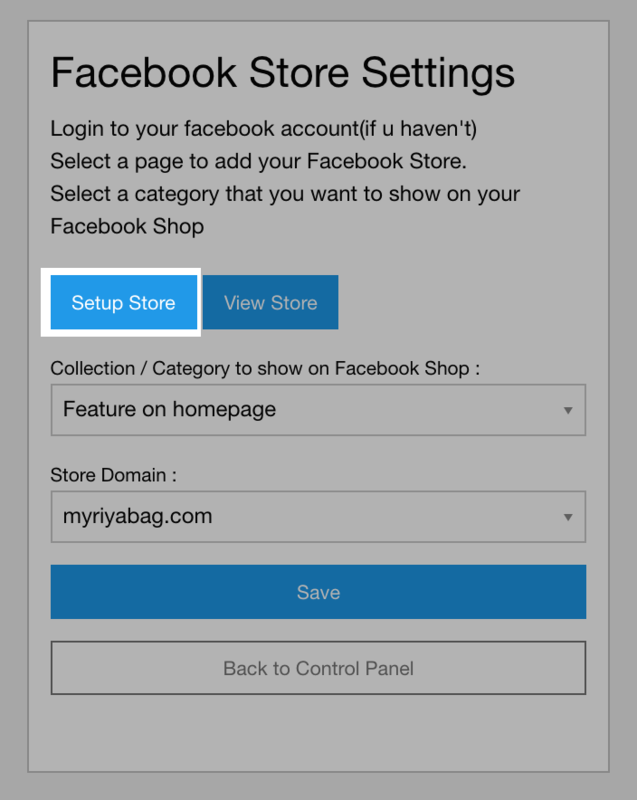 It includes product primary photo, product name, product price. Make sure you have a Facebook Page.